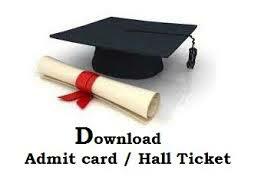 Kerala TET Hall Ticket Download 2013 Pareeksha Bhavan Admit Card - keralapareekshabhavan.in : 1. For the recruitment of the selected candidates for teaching jobs, Govt. of Kerala is going to conduct the Teacher Eligibility Test (KTET). All the applicants those who have applied for the KTET exam must be ready to face a most competitive examination. Candidates can download the Kerala TET Hall Ticket 2013 shortly. Candidates, who have applied for Kerala Teacher Eligibility Test, must have KTET Admit Card which can be downloaded from our site. 2. KTET Exam will be conducted on 25th of August, 27th of August and 1st of September 2013. Candidates can download the Kerala TET Hall Ticket on 16th of August 2013. Rs.500/- must have to be paid by the candidates for each category. The CS/ST and Differently disabled candidates must pay Rs.250/-. Kerala TET Paper 1:Applicants must have completed 12th or equivalent with 45% marks. Final year of 2 years Elementary Diploma/ 4 year Bachelor of Elementary Education/ 2 – year Diploma in Education in Special Education are also eligible to apply. The person completed BA / B.Sc. with at least 50 percent marks and B.Ed are also eligible to apply. 5. Kerala TET Paper 2: The candidates who have done 2 year D.Ed. / B.A. /B.Sc. with 45% marks/ appearing B.Ed/ 12th with B.El.Ed / 4-year BA/ B.Sc.Ed. or B.A. (Ed.)/B.Sc. (Ed.) / B.Ed. 50 percent in BA or B.Sc are eligible for KTET. 04th of August 2013 till 5 p.m is the last date of receipt of application (hard copy by post). 16th of August 2013 on wards candidates can download Admit Card. Examination will be held on 3 days i.e, 25th August, 27th August, 01st of September 2013. 8. Candidates if you want to received all latest news updates about KTET 2013 Notification Online Application Form , KTET answer key 2013, KTET Syllabus 2013 PDF Paper 1 2 via Facebook, then join us on Facebook page. Candidates Touch with us for more updates or book mark this page for future reference.